Great service from Tanya and a good battery too! This is the 2nd WCP20 I've purchased for the bike. The first lasted 9 years, so I'm not complaining. I swapped the battery over and the bike immediately fired up on the starter. No charge being necessary. Excellent service from Tayna. I ordered the battery in the morning and it arrived the following day. Very pleased with the product and the service given. excellent service, didn't fit and exchanged next day, no fuss. First class service with immediate delivery, constant updates through text message. On top of that its a great product. Delivered on time, fitted same day and Bike roars like a goodun again. This battery was to replace a dead Yuasa that had previously not performed that well on my bike. This battery however has plenty of guts and does the job so much better. A great delivery serice as well. Superb battery with plenty of cranking power to keep turning my old Harley Davidson over. Came with no paperwork or instructions but I assumed I had to charge it first. Quality battery. Very heavy solid and well made. Spins 1200cc over like it's a moped. Nice bit of kit. Your service was perfect. I got the battery in no time, fitted the SVR 20 in my bloody Harley and the jok started bedder then ever ! 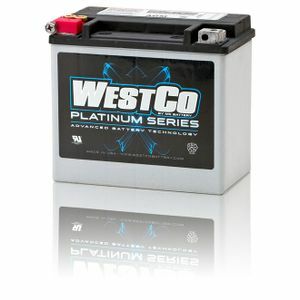 Purchased a replacement battery for 1990 Harley Davidson FLXTC, Found staff helpful and knowledgable,goods arrived as promised, very good value compared to OEM battery. Excelent informed service, price and next day delivery! Perfect!!! EXCELLENT ADVISE AND RAPID DELIVERY. COULDN'T BE BETTER. EXTREMLY DISSAPPOINTED THAT THE BATTERY FITMENTS GUIDE IS DRAMATICALLY INCORRECT... WHILST IT IS APPRECIATED THAT THE GUIDE IS INDEED A GUIDE.... IT SHOULD NTO REPRESNT BATTERIES WHICH WILL NEVER FIT! Early days yet - winter will be the real test but the battery kicks through a lot more power (Harley FXRS Lowrider), a bit like when the recovery truck tries to jump your car battery ;-) Can't see me going back to Yuasa in a hurry! Delivery next day was brilliant as well. Even though this was the wrong battery, I'm giving Tayna 5 stars because they only charged me £7 for postage and sent me the right one within 2 days. Thanks, especially to Simon.